Myrtle Beach, SC (PRWEB) – When Horry Georgetown Technical College opened its $15 million International Culinary Institute of Myrtle Beach (ICI) last fall, its leadership hoped to change the food business and how it operates along the Carolina coast with a world-class culinary education experience for students, locals and visitors. Now in its second semester, the school is already on its way to reaching this lofty goal. The Grand Strand campus’ sophisticated facilities have attracted new talent at the faculty level, and its highly trained graduates are in great demand by food service establishments around the country. In March, ICI welcomed Nathan Hashmonay, an American Culinary Federation Certified Executive Chef, to its team. Hashmonay, formerly on faculty at the Art Institutes of Tampa and Charlotte, will teach ICI’s restaurant capstone course, designed as a final review and opportunity for students to build confidence as a chef in a restaurant service setting. Students will gain great value from Hashmonay’s extensive experience in Mediterranean and French cuisine, according to ICI Executive Director Joseph Bonaparte. Hashmonay was motivated by an opportunity to join the new wave of culinary education. The national restaurant community has taken notice, too. After its first semester in the new facility, ICI placed 100 percent of its graduates in industry-related positions. ICI-trained students are working in the growing dining scene of Myrtle Beach, across the South, and with top chefs in New York City, including graduate Luke Dowdy, who is Executive Sous Chef for Thomas Keller’s Bouchon Bakery & Café. Students can earn an associate degree in programs including Baking and Pastry Arts, Kitchen and Food Preparation Techniques, Culinary Arts Technology or Professional Cooking for about $10,000, much less than the national average. Currently, the school is preparing 135 students to work in top-tier kitchens, many of which are popping up in the Myrtle Beach area. The Grand Strand area alone houses 2,400 restaurants that employ 23,000 people. Restaurant and food service jobs make up 12 percent of the total South Carolina economy. “Our hope is to train students who might go off and work all over the world, but will come back to Myrtle Beach in a few years to cultivate a locally based, high-quality, chef-driven food scene,” said Bonaparte. Myrtle Beach Area Chamber of Commerce President Brad Dean agrees with Bonaparte and actively promotes ICI as one of many reasons to visit the Myrtle Beach area. 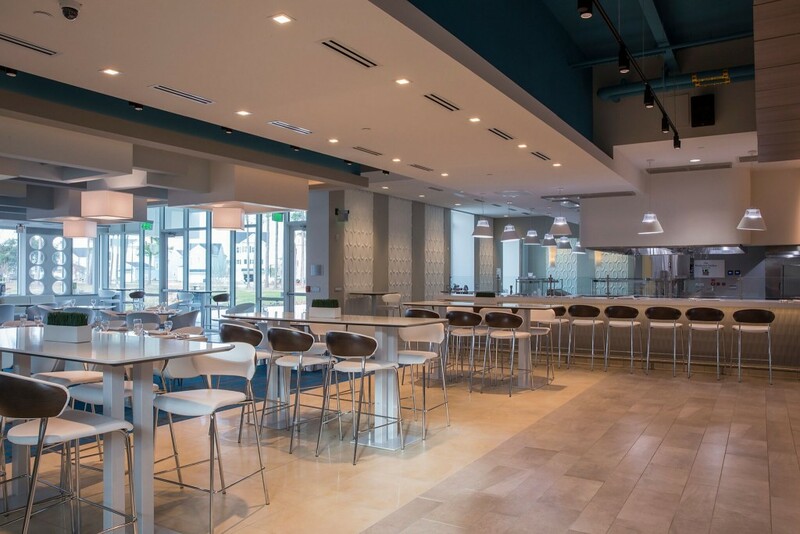 The International Culinary Institute at Horry Georgetown Technical College opened a new $15 million building in Myrtle Beach last fall. About 140 students are enrolled in associate degree and certificate programs. Internships and scholarships are available for students who qualify.